His attorney in court, Danny Onorato, said to E! News that Brown had "committed no crime." He was charged with a felony assault after allegedly punching a man in the face during a fight on Sunday morning at the W Hotel in Washington, D.C., according to E! News. The charge was dropped to a misdemeanor assault and the judge ordered his release. He is scheduled to return to court on Nov. 25. 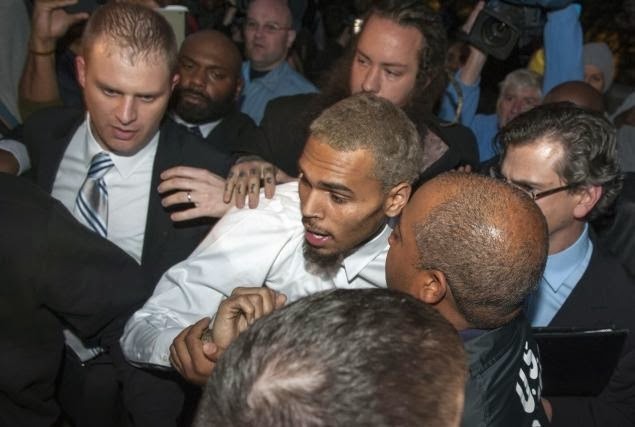 Brown is still on probation from his physical altercation with then-girlfriend Rihanna in 2009. If convicted, he could face up to 180 days in jail and a $1,000 fine, according to E! News. UPDATE: Chris Brown has been released from rehab and is continuing treatment as an outpatient, according to E! Online. For more information, visit E! Online's official site.